Last week we returned from our holidays on Schiermonnikoog. It's a small island in the North of the Netherlands between the Northsea and the Waddensea. 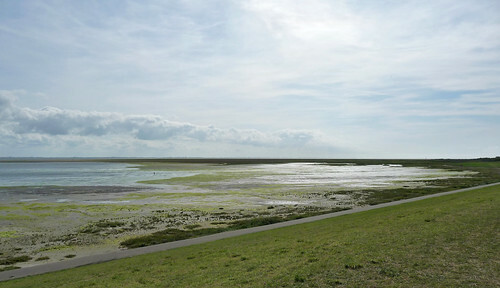 Since June 2009 the Waddensea is placed on the UNESCO World Heritage List. UNESCO uses several different criteria to assess whether an area merits World Heritage Site status. It deemed the Waddensea to be globally unique in at least three of those criteria. Of the islands in the Waddensea, Schiermonnikoog holds a very special position. The entire island is a National Park, a special natural region that must be well protected. 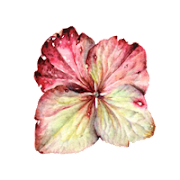 Half of the wild plants registered in the Netherlands can be found on this small island. I love to visit Schiermonnikoog every year. It's peaceful and there's so much nature. And although it's small, it never gets boring. I always take my watercolours with me. This year I wanted to paint some smaller plants on the island. 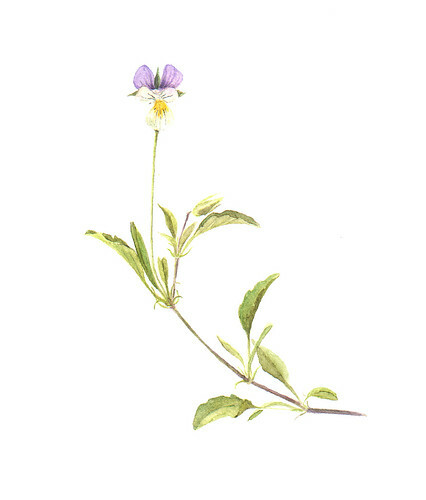 The first one I painted was the tiny and delicate Seaside Pansy (Viola curtisii). The next day I spotted another small plant, becoming more rare very rapidly in my country. 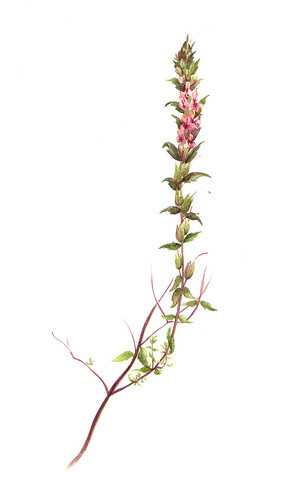 It's the Red Bartsia (Odontites vernus subsp. serotinus). 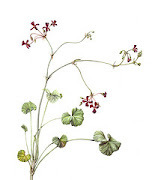 Another plant I painted was much more common but very pretty. 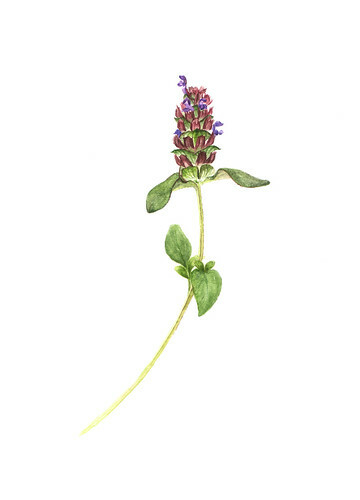 It's the Selfheal (Prunella vulgaris). 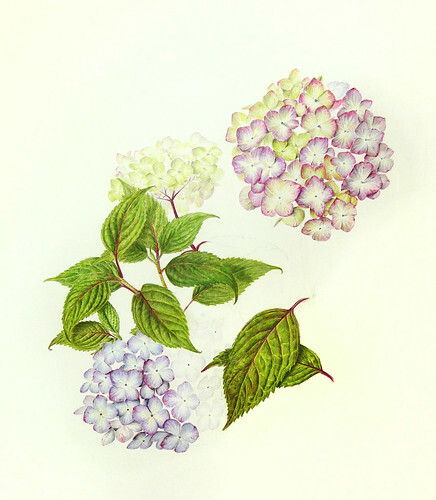 Finally I painted a plant which I wanted to paint for years now. It's a protected plant and very scarce in the Netherlands. 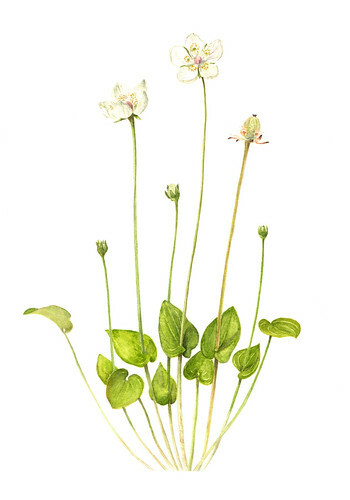 Its the Parnassia palustris or maybe better known as Grass of Parnassus. Maybe next year I'll paint some plants from the salt marshes. Another watercolour today. 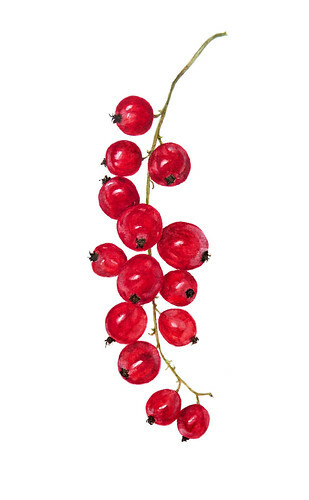 The last redcurrants I picked in my garden and after trying them with coloured pencil I made them today in watercolour. It wasn't as hard as I thought it would be. This week it's so hot and the air is humid and unpleasant. So not much drawing because of that. But this evening I made this watercolour. 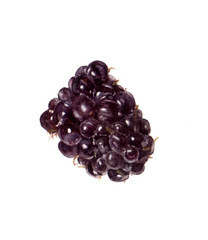 It's a Blackberry from my garden ('Thornless Evergreen') and it is very small. 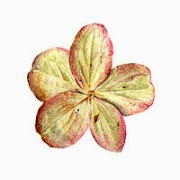 About 1 square inch (2,5 x 2,5 cm). It was fun to play with my brushes again. 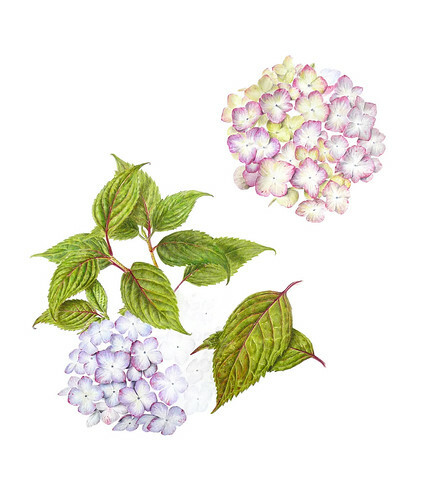 I'm still working on my Hydrangea drawing for the von Siebold project. It is so difficult. Really hard. 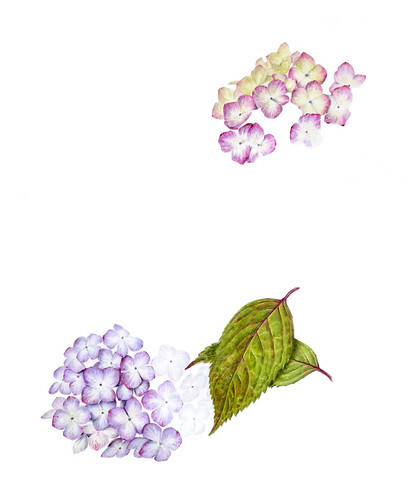 I made some flowers first. Hard!!! Then I thought it would be good to add some leaves. Harder!!!! 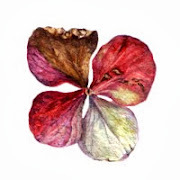 And last weekend I was at the point where I had to make a big decision about the composition by placing a third flowerhead in the drawing. Aaaaaarrrrggghhhh!!!!! I've had some fights with this drawing, it has been the most difficult drawing I ever made. I'm sure there will be more fights (and some more tears to go with it too I suppose) over the next couple of weeks. But I'm happy to say that I'm finally getting the feeling it might be a nice piece when I'll be finished.